Those of you who know the term RAINBOW, which is a lovely name to describe where our precious furries and humans go after life on Earth, this is for you. Rainbow is not a zip code or even a physical location for me. It is a concept of pure love and compassion, and of course much fun and frolicking. The love is unconditional, filled with humor and wisdoms, and holds itself inside of my spirit, heart, and consciousness. All illness, pain, suffering from disease, and human faults… simply do not exist in Rainbow. We feel well and serene. My family and I recently sent our beloved pet to Rainbow. Sweet Sir Magick could not be saved, so the needle of peace mercifully helped him transition out of a dying body. At first I thought I would pass out or die myself. The shock and trauma of fighting to save him took everything from me. He was and still is my precious angelic soul-friend. After a period of mourning and introspection, I feel a little more peaceful. 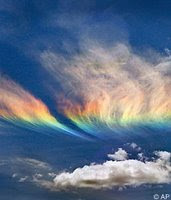 The essence of Rainbow is within me at every level of knowing. I call upon the unconditional love we have shared with all my now gone treasures to comfort, balm the wounds, and to help me heal. Rainbow is real. The love continues. Its beauty and laughter exist inside my every pore of being and knowing. I feel happy and now can smile when I am imaging Rainbow and all who have gone before us. We still share and comfort each other, but in a way that is different from the material here and now dimension. Please keep Rainbow in your own hearts to comfort you when you need this help. My most precious friend, therapy cat, and now a full angel. Oh no Dr. Yanez. Not your sweet Sir Magick. We read how much you love him and send you our hugs. Don't worry, you and he will reunite in Rainbow. He helped so many people with his love. Not sure if my last comment was posted or not, so will try again.I met Sir Magick in person and he was a very OLD SOUL to be met again in another life. Know he is waiting for you and watching over you. Sir Magick was very loving and affectionate and will be missed by many. He is watching over you and is still guiding you on your journey. You will meet again. He will await you when it is time.